It doesn’t take much to believe the bayous and swamps of Houma, Louisiana are home to some interesting stories. The twists and turns of our waterways and the shade of our cypress trees provide a mysterious backdrop for myths, legends and folktales. Take a peak at just a few with us here. Rougarou: The Rougarou, or loup garou, is a Cajun lengend of a human who changes into a wolf at his/her own will. The French word loup means “wolf” and garou mean “man who turns into an animal.” Over time, the Cajun accent transitioned the word from loup garou to Rougarou. The legend says when a person comes into contact with the Rougarou and sheds the blood of the beast, the Rougarou will then be changed back to its human form. The victim then becomes the Rougarou for 101 days. It is often said that the Rougarou is in search of those who do not observe the Catholic traditions during Lenten season. Additionally, Cajun grandmothers are known for using the Rougarou to persuade strong willed children to behave, ie. 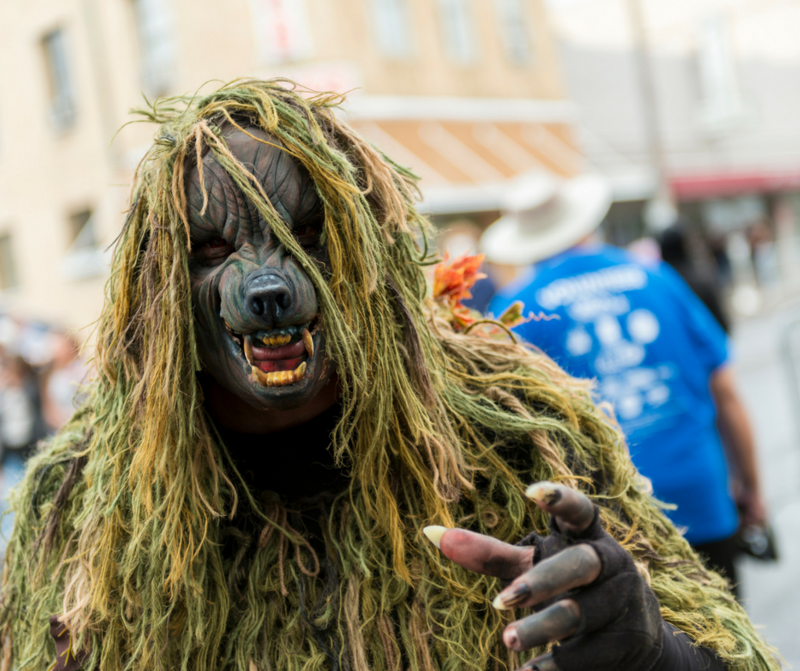 “T’boy, behave or that Rougarou is gonna get you!” You can learn all about the Rougarou at Houma’s Rougarou Fest. Fifolet: Have you ever seen something at the corner of your eye, a flash of light that you swore was there? You may have encountered a Fifolet if you were in the swamps of Louisiana. A fifolet is a glowing orb seen in the swamps that is said to misdirect and decisive unsuspected fisherman. If you follow the fifolet, you will be led through mysterious passes and unseen parts of the swamp, but you will never be able to find your way back. Lutin: According to Cajun folklore, a Lutin is the spirit of a child. Think “Casper the Friendly Ghost” if Casper liked to cause trouble. Lutins are known for doing things like scaring farm animals, spoiling milk and taking random items and depositing them in places you would never think to look. So that’s what happened to my car keys! Have you ever had an encounter with one of these creatures? We’d love to hear about it. Click here for more on the myths and legends of Louisiana’s Bayou Country.